Elias is a free modern resume template, with a dark gray and orange full-width header. 2-column structure layout on a white background. Beautiful and professional style. The left side of the template presents your most valuable information: your professional experience and education. The right side section will show off your skills (personal and professional) via bars and text, and interests (icons). 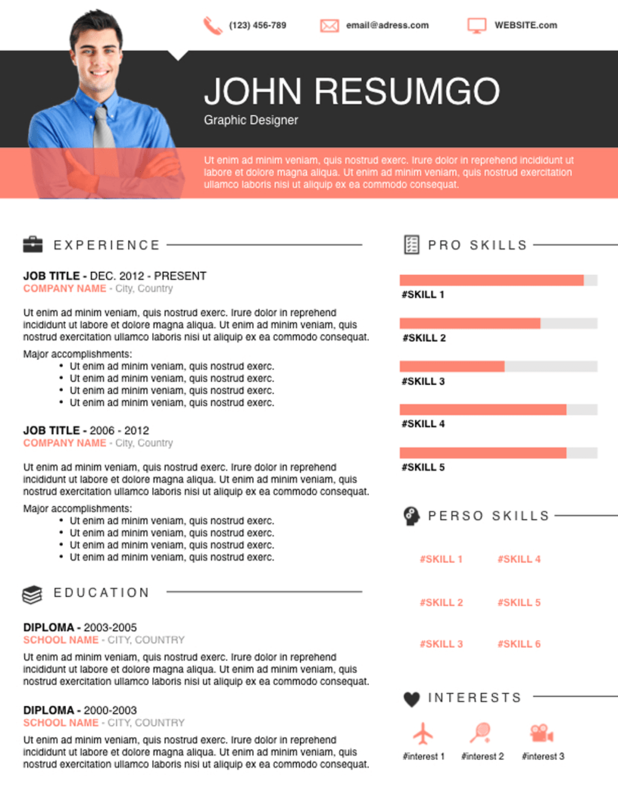 The predominant and visually appealing full-width header will get your resume noticed. Insert there your ID photo, contact information, current or job and objective/summary or career goals.